In this Episode of the Team Guru Podcast I speak to Michael Blucher about life inside the bubble of professional sport and the lessons about performance and personal growth that we can all learn from the trails and tribulations of the stars of the athletic world. Michael is an author, blogger, keynote speaker and professional advisor to high profile sports men and women and business leaders. 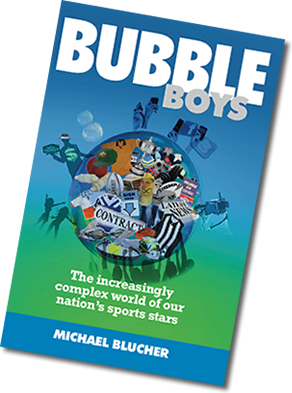 His latest book – Bubble Boys – takes readers into the strange world of professional sports – the highs and lows, the enticing trappings and the perilous pitfalls. Michael has spent 28 years in and around professional sport – within the media, corporate partners and playing organisations. He has relationships with some of the best-known names in Australia and he works with some of the biggest names you’ve not yet heard of. He’s witnessed the shifting landscape of professional sport – the changing role of the mainstream media, the impact of social media, big money, the bright lights and the dark times. In some ways this conversation is just two guys who love sport, gossiping about players past and present, incidents, achievements and falls from grace. But there’s a serious thread to it. Talking with Michael opened my eyes to the complexity of a life played out in front of a crowd. 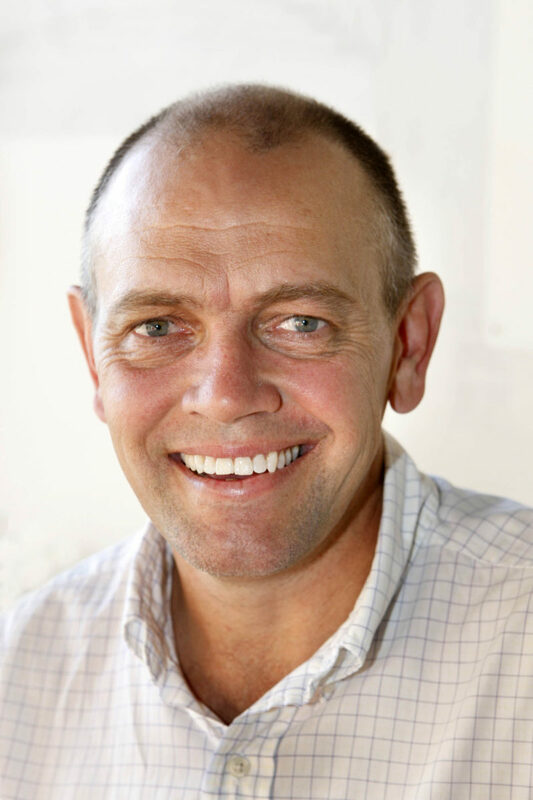 He gives us great insight into work he does through his company – The Third Half – giving people the support they need to ensure what they do in the office or on the sporting field does not define or limit them as a person. He is a deep thinker about values, behaviour and the challenges we all face. And he gives some wonderful, practical advice that many of us can use to enrich our own lives. I could literally have talked to Michael for hours. Absorbing. Salacious. Serious. And wise. A good dose of sports talk and some serious links to the lessons we can all extract and inject into our own personal and professional journey. If you enjoy listening to this conversation half as much has I did recording it, you’re in for a real treat. Some athletes behave in an entitled way because we allow them to. No one pulls them up and tells them about how the real world works. We pander to them and fuss over them, reinforcing their belief that they are special and normal social conventions don’t apply to them. Michael talks to his clients about the critical non-essentials. It’s the functional skills that allow an accountant, lawyer or footballer to do their job – their skills, talents and education. The critical non-essentials sit outside of that – things like appearance, presentation, visibility, communication, values, and relevance. They are what give their clients and fans an emotional attachment or confidence in the work they do – their ability to be trusted or liked. Sportsman are young. It’s difficult to grow up in the public eye – especially an increasingly connected one. We all have avenues to voice our opinion about their performances or even the person we think they are – and they see and read that through social media. A major piece of Michael’s work is to help young athletes get in touch with their own value set – how do they engage with their fans, what do they stand for outside their performance on the field. It’s a danger when their sport and performance on the field defines them as a person – it’s important to establish a sense of who they are as a person. We can’t tell them how to live their lives – just encourage them to think about who they are as a person and what sort of legacy they want to leave. Key pillars of public speaking – Preparation, content, structure and delivery. When Michael begins working with an athlete he starts by breaking down stakeholders – the people who are important in their life. One of Michael Blucher’s key pieces of advice is for athletes to start setting up their post-playing career well before they retire – to use the connections they have and the fact that lots of people want to know them to leverage a future while they are still playing – rather than waiting until it’s too late. If sportsmen set up their future career while they’re playing, they are smart. If they wait until they finish, they are desperate. We all make transitions through life – from student, to young professional, to parent, etc. The transition for an athlete away from professional sport is usually more difficult because it happens as a result of getting too old or injured for what they love doing and it’s almost always a step down in pay and excitement – no matter how attractive your post-playing career, it’s hard to replace running out in front of 80,000 fans – and being paid well to do it. On average a professional sportsman’s pay will drop by 75% when they retire. They lose a highly structured environment in which they are asked to make very few decisions or arrangements for themselves – and are left to fend for themselves in a world they don’t really understand. In planning a post-playing career it’s helpful for sportsmen to think beyond the ball-hitting, tackling and kicking skills that underpinned their athletic career and focus on the things they learned about perseverance, performing under pressure, and commitment to team goals. Sporting and professional careers are inversed. In sport you peak early and go down hill. In a professional career you build into it – often gaining real momentum at about the age professional sportsmen are retiring. Sportsmen are used to getting lots of feedback about their performance – from fans, media, coaches, teammates etc. In the corporate world we tend to be less forthcoming with performance feedback. In switching from professional sport to a new career, athletes go from being the best in the state/country/world to not even being the best at the table. They start their new career as the least valuable member in a new team. 4 – Soul – what do you stand for – who are you beyond the trappings of elite sport? It’s also important for those who’ve had success in the business world to think about what is important to them beyond the corporate trappings of their job. If you don’t have a clear idea of who you are and what’s important to you, transitioning out of that job will be difficult. For Michael Blucher ‘personal brand’ means clarity and consistency. It’s more than your skills set, you education, what you wear and where you went to school. It relates to your core – who you are as a person and what you value. If you know who you are and what you bring to the table, it’s easy to go out and deliver that. And if you deliver it consistently you become reliable to others. Some of the best mentors are negative ones – they teach you what not to do. Wayne Bennett’s success as a rugby league coach is not based on technical genius – it’s based on his understanding that one size does not fit all. Some people he leads need an arm around their shoulder. Some need a firm word. Others might need him to plant a seed of doubt because they are getting ahead of themself. Former Wallaby captain Nathan Sharpe had a wonderful ability to bring his team together, working towards a common objective. He recognised that players were motivated by lots of different things – money, ego, their need to fit into a team environment, their desire to be a hero – and that winning games of rugby is the only thing that ticks all those boxes. Everyone can get what they want if the team wins. One of the great lessons we can take away from sport and insert into the business world is that you just have to enjoy what you do.